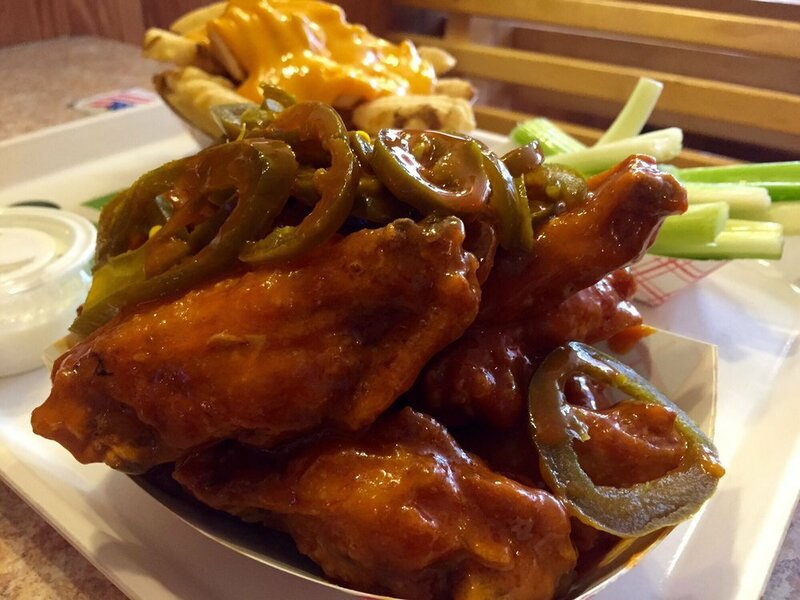 Stop in for some of the North Side's best wings, perfect for a quick snack for one or party platter for twenty. Great for game days and get-togethers of all kinds. 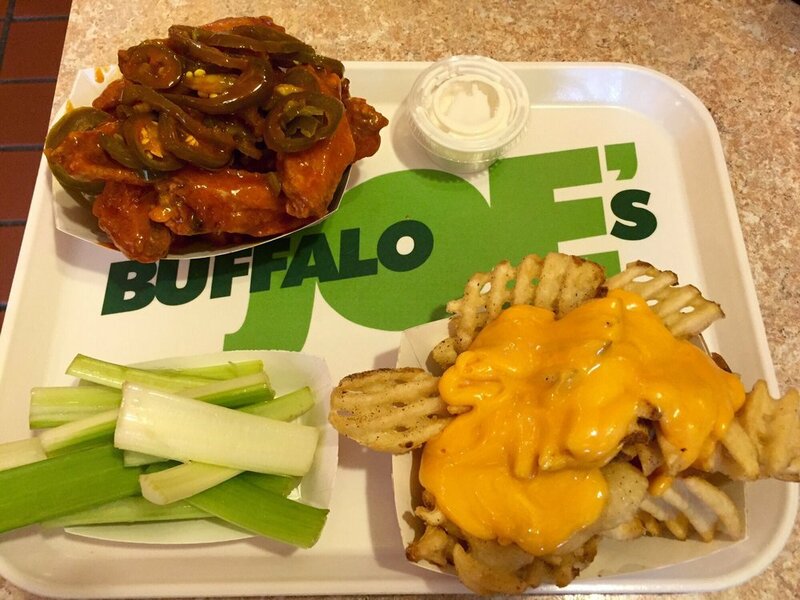 Joe Prudden of Buffalo Joe’s in Evanston is the Chicago area’s wing pioneer. He won’t divulge all the ingredients in his surprisingly sparse sauce, but a little can go a long way. There’s the tasty Mild sauce, the powerful Spicy sauce, and, for crazed machos, the Suicide sauce. 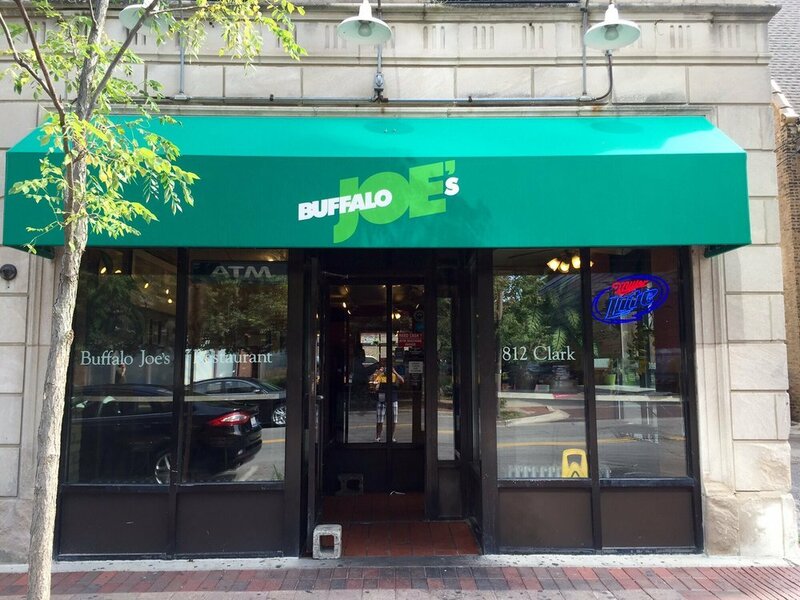 Buffalo Joe's, known for its chicken wings, can now add another feather to its cap. There's no fancy recipe here, just 1/3 lb of quality steer meat per burger, fresh ingredient and cheddar cheese. A gourmet burger at fast-food prices.Buffalo chips, which are waffle-cut fries, at Buffalo Joe's in Evanston.